Where did Sam Walton grow up? 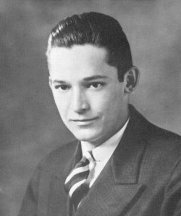 Sam Walton was born in Kingfisher, Oklahoma on March 29, 1918. His father, Tom, was a farmer, but went to work in the farm mortgage business when the Great Depression hit. While Sam was still young, the family moved to Missouri. Sam grew up in Missouri with his younger brother James. From the time he was a young boy, Sam was a hard worker. He had little choice during the Great Depression. The only way to survive was hard work. Sam worked all sorts of jobs including a paper route. In addition to working, Sam did well in school, was a member of the Boy Scouts, and enjoyed sports. He was a star athlete on the high school football team and was the first boy in Shelbina, Missouri to become an Eagle Scout. After high school, Sam attended the University of Missouri. At college Sam continued to work hard and stay busy. He worked part time jobs to help pay for school. He was also a member of the ROTC and was voted president of his senior class. He graduated in 1940 with a degree in economics. Sam's first job out of school was with retailer J.C. Penny. He worked there as a manager for a year and half before he joined the army in 1942 during World War II. During his time at J.C. Penny, Sam learned a lot about the retail business. A lot of the ideas and values that he would use to establish his own retail business he learned on this job. While he was still in the army, Walton married Helen Robson in 1943. After the war, Sam and Helen moved to Newport, Arkansas where Walton bought a Ben Franklin five-and-dime franchise and opened his first retail store. Working hard to bring in customers, Sam turned the store into a success. However, he only had a five year lease and, at the end of the lease, the owner of the building took control of his business. Walton had learned his lesson. Despite this major setback, Walton wasn't one to give up. Part of his success was learning from mistakes. He opened another store in Bentonville called Walton's. This time he purchased the building. Walton repeated his success and soon the store was making money. Walton began to open new stores in other small towns. He incentivized his managers by offering them a profit from the store. They worked hard, but they knew they would be rewarded. In order to keep an eye on his stores, Walton bought a plane and learned how to fly. He would fly around regularly checking on his stores. Walton had the dream of opening a large discount store. These stores would be located in rural areas away from competition like K-Mart. Part of his idea was that the profits on the items would be small in order to offer the customer a good price. However, he expected to make this up with huge volumes. He had a tough time selling the idea to investors at first, but he eventually got a loan and opened his first Walmart in Rogers, Arkansas in 1962. The store was a great success and Walton continued to open more stores. He opened his second store in 1964 and his third in 1966. By 1968, there were 24 Walmart stores and growing. Over the years, the chain grew and grew. It had 125 stores in 1975 and 882 stores in 1985. As of the writing of this article (2014), there are over 11,000 Walmart stores worldwide. As the chain continued to grow, Walton continued to make improvements to the business. He focused his efforts on making the business efficient. He strategically located stores around giant regional warehouses. He moved products using his own trucks. By making the business run efficiently, he could keep expenses down. He also combined the volume from all his stores to buy large quantities of goods. This helped him to get better prices from his suppliers. The huge growth of the Walmart retail store chain made Sam Walton a very rich man. Forbes magazine ranked him as the richest man in America in 1985. Sam Walton died of cancer on April 5, 1992 in Little Rock, Arkansas. His son Rob took over the business. He was voted the "Most Versatile Boy" in his senior year of high school. Despite being the "richest man in America", Sam drove a red Ford pickup. He had four children including three boys (Rob, John, and Jim) and one daughter (Alice). His favorite pastime was hunting. Walmart had $466.1 billion in sales in the fiscal year that ended in January 2013. Around 35 million people shop at Walmart every day. They have over 2 million employees.